Many businesses are finding benefits in not “owning” their hardware and remotely accessing software applications. Through a licensing agreement from a large provider you can experience scalability, flexibility and ease of setup. 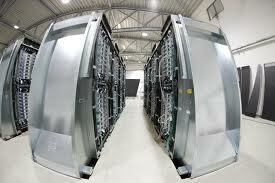 The applications themselves are “hosted” in secure data rooms accessed by staff through an internet connection. Access to servers can also be rented saving on setup,maintenance, security and facility rooms cost. Many applications, including customer databases, Exchange & general email, SharePoint collaboration tools, Blackberry services, and web meeting software just to name a few, can be easily hosted elsewhere and accessed via the internet. This means you can access them from any web-enabled PC and you don’t have to worry about maintaining your own servers or backing up your data the host provider takes care of that for you. Hosted virtual servers – Virtualisation has allowed server benefi ts to be enjoyed economically for even the smallest organisations.